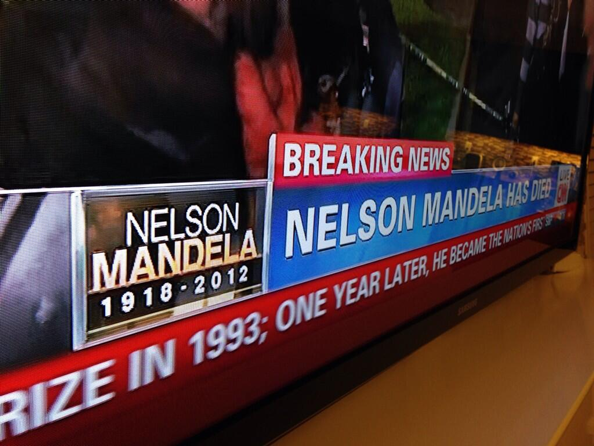 During its Nelson Mandela coverage, CNN apparently used a topical graphic in the lower left corner of the screen that included 2012 as the year of the former South African president’s death. The graphic, shown above in an image posted on Twitter by Manav Acharya, shows the purported error. Well, that and it’s 2013.